The Guardian's Sam Jordison acknowledges the former's importance, but calls it for McCarthy in the end. 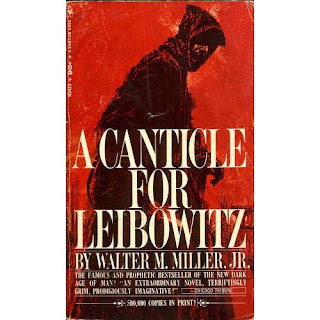 "For all its haunting power, A Canticle for Liebowitz [sic] doesn't deserve a spot in my post-apocalyptic backpack. Cormac McCarthy's meticulous craftsmanship and his ability to maintain momentum mean I would pack The Road instead." Although I find the idea of stocking up on books after the Flame Deluge as somewhat laughable, I do, reluctantly, agree with Jordison: McCarthy is just too fierce.